3 Carolyn Hart "Henrie O" Cozy Mysteries . Genres include paranormal, science fiction, horror, mystery, cozy mysteries, fantasy and others. Series features septuagenarian reporter Henrietta O'Dwyer Collins of South Carolina South Carolina. 2 Carolyn Hart "Bailey Ruth Ghost" Cozy Mysteries . Genres include paranormal, science fiction, horror, mystery, cozy mysteries, fantasy and others. Ghost AT Work (1st In Series) ~ VERY GOOD ~ A carefully read book with reader's creases and a slight "slant" to the spine else just a very light bit of handling wear. 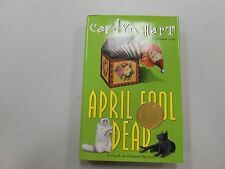 WRITTEN BY AGATHA AWARD WINNER CAROLYN HART. 288 PAGES. DEAD BY MIDNIGHT. DEATH ON DEMAND MYSTERY SERIES BOOK # 21 FEATURING WOMAN SLEUTH ANNIE DARLING. (1ST PRINTING) FROM 2012. ABOUT GRADING- GRADING MAGAZINES AND BOOKS IS SUBJECTIVE SINCE NO TWO ARE EXACTLY ALIKE (ESPECIALLY ON OLDER BOOKS) BUT THERE ARE INDUSTRY STANDARDS AND GUIDELINES AND WITH OVER 30 YEARS SALES EXPERIENCE IN THE COLLECTIBLES FIELD I FEEL I CAN GIVE A FAIRLY ACCURATE AVERAGE GRADE. Condition: New! Binding: Paperback Publish date: 2014. Death at the Door by Carolyn Hart. Her books have won multiple Agatha, Anthony, and Macavity awards. Author Carolyn Hart. Convinced her brother did not commit suicide, the doctor's sister turns to Annie and her husband, Max. Ghost Times Two by Carolyn Hart Paperback Book Free Shipping! Her books have won multiple Agatha, Anthony, and Macavity awards. She and her husband, Phil, serve as staff-cat owners will understand-to brother and sister brown tabbies. Author Carolyn Hart. Format Paperback. TITLE: Ghost to The Rescue. Hard Cover. Book may show shelf wear. Shelf wear on the cover/pages. If the candy has softened, give it a chance to firm up before handling further. EU Parallel Import laws state that a trademarked item that was not originally sold into the EU cannot be subsequently sold into the EU without infringing on the trademark rights of the Rights Owner. Dead by Midnight by Carolyn Hart. Author Carolyn Hart. A recent death appears to be suicide, but Annie suspects murder. Title Dead by Midnight. Format Mass Market Paperback. MANY RARE-OLD-SIGNED AND UNCORRECTED PROOFS. 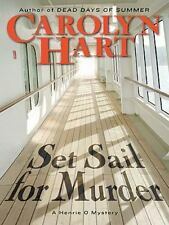 WRITTEN BY AGATHA AWARD WINNER CAROLYN HART. 304 PAGES. DEATH ON DEMAND MYSTERY SERIES BOOK # 22 FEATURING WOMAN SLEUTH ANNIE DARLING. ABOUT GRADING- GRADING MAGAZINES AND BOOKS IS SUBJECTIVE SINCE NO TWO ARE EXACTLY ALIKE (ESPECIALLY ON OLDER BOOKS) BUT THERE ARE INDUSTRY STANDARDS AND GUIDELINES AND WITH OVER 30 YEARS SALES EXPERIENCE IN THE COLLECTIBLES FIELD I FEEL I CAN GIVE A FAIRLY ACCURATE AVERAGE GRADE. Catalogue Number: 9780425283745. Format: BOOK. Missing Information?. Author Carolyn G. Hart. Luckily, fellow volunteer Gretchen Burkholt agrees to sub for her. Even though Gretchen tends to be excitable, Annie heads over to Better Tomorrow, where she finds Gretchen dead on the floor, an axe by her side. Her books have won multiple Agatha, Anthony, and Macavity awards. She and her husband, Phil, serve as staff-cat owners will understand-to brother and sister brown tabbies. Author Carolyn Hart. Despite an array of suspects to match Griffith's cast of characters-and a promise to her husband, Max, to steer clear of sleuthing-Annie's not about to let the police throw the book at her friend when the real killer remains at large. Cry in the Night by Carolyn Hart. Author Carolyn Hart. Title Cry in the Night. Format Mass Market Paperback. Ghost to the Rescue by Carolyn Hart. Soon after his advances are rejected, Knox turns up dead - with Deirdre's fingerprints on the murder weapon. Now she must find out who really knocked off Knox if Deirdre and her family are ever going to have a happy ending. Ghost in Trouble by Carolyn Hart. She lives in Oklahoma City, Oklahoma. Author Carolyn Hart. HC: William Morrow. Title Ghost in Trouble. Heaven help her. Format Mass Market Paperback. ISBN-13 9780061915024. Death on Demand by Carolyn Hart. She lives in Oklahoma City, Oklahoma. Author Carolyn Hart. Title Death on Demand. Format Mass Market Paperback. Health & Beauty. 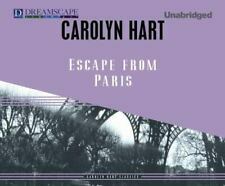 Death in Paradise by Carolyn Hart. Six years ago, Henrie O's beloved newspaperman husband Richard lost his life on the Hawaiian island of Kauai. But now that her search for the truth has brought Henrie O to this lethal paradise where giant palm fronds hide evil deeds from inquisitive eyes, she may never be allowed to leave alive. Ghost Wanted by Carolyn Hart (English) Mass Market Paperback Book Free Shipping! Known as the Lady of the Roses, she plays matchmaker, using the fragrant flowers to pair up students. Concerned with Lorraine's reputation among the living, Wiggins dispatches Bailey Ruth to investigate. 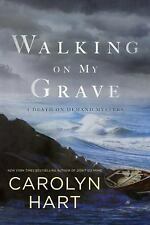 Walking On My Grave by Carolyn Hart. Her books have won multiple Agatha, Anthony, and Macavity awards. Author Carolyn Hart. Title Walking On My Grave. Upon her death, several cash-strapped islanders are in line to collect life-changing inheritances. Resort to Murder by Carolyn Hart. She lives in Oklahoma City, Oklahoma. Author Carolyn Hart. Title Resort to Murder. Format Mass Market Paperback. Soon, Henrie is embroiled in a deadly puzzle that touches everyone connected with the impending union. Death of the Party by Carolyn Hart. She lives in Oklahoma City, Oklahoma. Author Carolyn Hart. Now she's bringing all who were in attendance that weekend back to Golden Silk — Addison's luxurious secluded island estate — and inviting two extra guests, Annie and Max Darling, to help uncover a killer. Author: Hart, Carolyn Publisher: William Morrow. Condition: New! Mint Julep Murder by Carolyn Hart. Normally, Annie Laurence Darling would be eagerly awaiting her trip to Head Island, where this year's Dixie Book Festival is being held. As more and more evidence points her way, Annie and Max must act fast to catch a wily killer.before the police throw the book at Annie! Death in Lovers' Lane (Henrie O Mysteries). Title : Death in Lovers' Lane (Henrie O Mysteries). Authors : Carolyn Hart. Binding : Mass Market Paperback. Product Category : Books. Condition : Very Good. Carolyn Hart's Mystery Thriller "Death On the River Walk" was published as hardcover with dust jacket by Avon c1999 (0-380-97415-0). Book is a stated 1st edition, 1st printing in Like New condition: owner's bookplate on first page, no other obvious faults or issues. When a window cracks and a rifle barrel is thrust inside, only Bailey Ruth's hasty intervention saves Nick from taking a bullet. But after she materializes to reassure him, she finds she can't go back to vanishing. And signed by Carolyn Hart. Engaged to Die by Carolyn Hart. She lives in Oklahoma City, Oklahoma. Author Carolyn Hart. Title Engaged to Die. Format Mass Market Paperback. Death in Lovers' Lane by Carolyn Hart. She lives in Oklahoma City, Oklahoma. Author Carolyn Hart. Title Death in Lovers' Lane. Format Mass Market Paperback. Health & Beauty. ISBN-13 9780380790029. Children section. New and Used. Comic Books. 143 North Main Ave. Large Print. Author: Hart, Carolyn Publisher: William Morrow. Condition: New! Binding: Hardcover Publish date: 2010. Dead, White, and Blue by Carolyn Hart. Author Carolyn Hart. Title Dead, White, and Blue. Format Mass Market Paperback. ISBN 042526078X. Publisher Berkley Books. SIGNED April Fool Dead No. 13 by Carolyn G. Hart (2002, Hardcover)! LIKE NEW!